If you have a passion for adventure, look no further than the new 2019 Jeep Wrangler. For years, the legendary Wrangler has remained one of the most capable SUVs on the market. Although the new model packs more technology than ever before, it still maintains the same rugged character that so many drivers have grown to love. Improved fuel economy and updated styling make the 2019 Wrangler even harder to beat. To experience everything that this world-class SUV has to offer, visit your local Thornton area dealer. The short drive from Thorton is well worth it! Let’s check out the key highlights. No other SUV on the market looks like the 2019 Jeep Wrangler near Thornton. The Wrangler’s iconic styling truly sets it apart from the competition. Although there’s no overlooking the Wrangler’s classic appearance, it’s now more modern than ever before. Round headlights with LED rings and a signature seven-slot grille pay homage to previous generations of the Wrangler. Not only do the new air extractors look cool, but they also help vent heat from the engine compartment. Among the Wrangler’s best attributes is its convertible design. The windshield, doors, and roof can all be easily removed. Whether you’re riding with friends to the lake or enjoying an exciting off-road adventure, expect to have a lot of fun. Some of the head-turning colors include Firecracker Red Clearcoat, Granite Crystal Metallic, Xtreme Purple Pearlcoat, and Baja Yellow Clearcoat. While most people will be satisfied with the base Sport model, a number of appearance upgrades are offered. A special set of 18-inch Tech Gray Wheels are available for the Sahara model. Meanwhile, the ultra-tough Rubicon model looks especially muscular with its power dome hood and high-clearance fender flares. Located just a short drive from Thorton, your local Jeep dealer is where you’ll find the entire new Wrangler lineup. On the inside, the 2019 Jeep Wrangler near Thornton provides more passenger room than ever before. While the two-door version is popular, families will especially enjoy the four-door Wrangler. A spacious backseat allows everyone to ride in comfort. Available heated seats and a heated steering promise to make commuting during the winter more enjoyable. Leather upholstery is available as an option. You can also take advantage of the Wrangler’s versatile cargo area. As always, the Wrangler brings a great deal of value to the table. Even the base Sport trim comes loaded with a number of exciting features. Some of the highlights include a 5.0-inch Uconnect touch screen, a backup camera, Bluetooth technology, and an eight-speaker sound system. Your local Thornton dealer also gives you a number of premium upgrades to choose from. Featuring a larger 7.0-inch touch screen with Apple CarPlay and Android Auto, the upgraded Uconnect interface seamlessly links to your smartphone. It gives you easy access to your favorite mobile apps. Meanwhile, music fans will enjoy the 552-watt Alpine sound system. A 12-channel amplifier and a rear subwoofer enable you to really crank up the volume. The higher trim levels also benefit from a customizable gauge cluster. The 2019 Jeep Wrangler is as tough as ever. You’ll be able to hit the trails with an extra peace of mind. It comes standard with a Selec-Trac 4×4 System. This advanced four-wheel-drive system automatically responds to the changing road conditions. When enhanced traction isn’t needed, the system saves fuel by switching to a 2WD mode. If you plan to face even more challenging terrain, step up to the Command-Trac 4×4 system. In terms of off-road capabilities, the legendary Rubicon model sits atop the lineup. For good reason, it was named “4×4 of the Decade” by Four Wheeler magazine. You’ll immediately notice its giant all-terrain tires. They enable you to confidently climb over obstacles. Rock rails give the 2019 Jeep Wrangler Rubicon an extra degree of toughness. Some of the other rugged accessories include a heavy-duty transfer case and a special Rock-Trac 4X4 system. You can find more info at Boulder Jeep, which is home to all of the newest Wrangler trims! When visiting your local Jeep dealer serving the Thornton area, you’ll have two great engines to choose from. The standard Pentastar V6 will likely remain a popular choice. It develops a healthy 285 horsepower and 260 pound-feet of torque. Jeep allows you to pick between a six-speed manual gearbox and an eight-speed automatic transmission. Not only will you experience strong acceleration, but you can also take advantage of the Wrangler’s 3,500-pound towing capacity. Featuring eTorque mild hybrid technology, the optional turbocharged four-cylinder engine rewards you with additional fuel savings. It also packs a formidable 270 horsepower and 295 pound-feet of torque. The 2019 Jeep Wrangler near Thornton is designed to offer great passenger safety. High-strength steel beams help the SUV to absorb powerful impacts. You’ll enjoy an additional level protection by opting for the available driver-assist technologies. While forward collision warning alerts you to stopped vehicles, blind-spot monitoring ensures easier lane changes on the highway. To see the new Wrangler, make the short drive from Thorton! 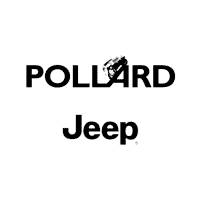 Find out more info at Boulder Jeep. Your Thornton area dealer welcomes everyone to come take a test drive.